Finding a home in the Myrtle Beach area under $200,000 is starting to get tough. These homes do exist yet the supply is shrinking every month. When you combine this price range with the low interest rates available, these are the most affordable option in our local real estate market. Bellegrove in Carolina Forest - These are great starter homes located in a great school district and close to shopping, hospitals, and restuarants. There are still homes here for under $160,000. Avalon in Carolina Forest - Also located in this popular part of town, you can find homes in this community under $150,000. Rosehaven in Conway - This is one of the best values on the Strand. These Conway homes are offered at $119,900. For more information, give us a call. Pines @ St. James - Homes priced under $100,000. Located in the Socastee section of Myrtle Beach. Call us for info on these super low-priced homes. 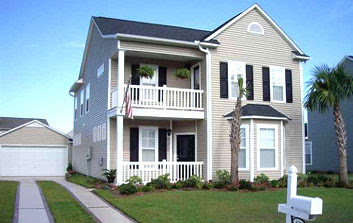 This is a short list of homes for sale in Myrtle Beach under $200,000. The good news is that we have many homes for you to look at in this price range. If you are interested in a complete list of available homes in this price range or any other price range you may be looking then please give us a call.